VIN: JN1EV7ARXKM556988. Stock number: 19337. MSRP: $44,425. $5,999 due at signing plus tax.10,000 miles a year. Must qualify for Tier 1 credit approval through INFINITI Financial. Security deposit waived on approval. In stock vehicles only. All incentives to dealer. Picture may not represent actual vehicle. See dealer for complete details. Expires 4/30/19. VIN: 5N1DL0MM2KC563005. Stock number: 19407. MSRP: $52,830. $4,099 due at signing plus tax.10,000 miles a year. Must qualify for Tier 1 credit approval through INFINITI Financial. Security deposit waived on approval. In stock vehicles only. All incentives to dealer. Picture may not represent actual vehicle. See dealer for complete details. Expires 4/30/19. APR financing for 72 months with $13.89 per $1,000 borrowed. Excludes tax, tag, title, dealer fees. With approved credit. VIN: JN1EV7EL9KM290269. Stock number: 19297. MSRP: $51,825. $6,799 due at signing plus tax. 39 mo./10k per year. Must qualify for Tier 1 credit approval through INFINITI Financial. Security deposit waived on approval. In stock vehicles only. All incentives to dealer. Picture may not represent actual vehicle. See dealer for complete details. Expires 4/30/19. VIN: 3PCAJ5M33KF129521. Stock number: 19381. MSRP: $55,170. $4,399 due at signing plus tax. 39 mo./10k per year. Must qualify for Tier 1 credit approval through INFINITI Financial. Security deposit waived on approval. In stock vehicles only. All incentives to dealer. Picture may not represent actual vehicle. See dealer for complete details. Expires 4/30/19. 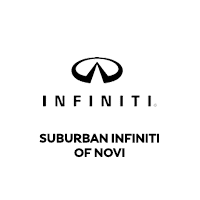 At Suburban INFINITI of Novi, we’re proud to offer excellent customer services and provide an extensive inventory of INFINITI models in the Novi, MI area. Our showroom features the latest models with the top car models on display at our dealership. Our team is committed to meeting your needs when you’re ready to own a new or used vehicle. You can browse our collection and contact us to schedule a test drive today. INFINITI is known as a luxury automaker that began selling vehicles in 1989 and currently has dealers in over 50 countries. Once you find a car that is specific to your needs and preferences, you’ll need to decide how you want to pay for the vehicle. Our dealership offers many different financing options to accommodate our customers for added convenience. Leasing vehicles is a common option that can allow you to drive a car that may be out of your price range. Leased cars come with lower monthly payments and don’t require taxes to be paid. The down payment that is required is also significantly lower than if the car is financed or is waived in some cases. Lower maintenance costs are also associated with leasing a car, which can make an upscale model fit within your budget. Those who lease cars often enjoy driving a new vehicle every few years. Financing a car means that you’ll own the vehicle and obtain the title. Those who want to build equity can choose to finance the vehicle to ensure that they make a profit once they’re ready to sell it. With a car that you own, you don’t have to worry about how many miles you put on the vehicle and can also enjoy making modifications that increase the car’s value. The money that you make once you sell the vehicle can even be used towards your next INFINITI model, making it worth the investment. We not only specialize in new INFINITI models at our dealership but also have a wide selection of used cars at our location. Pre-owned cars are available at Suburban INFINITI of Novi to ensure that our customers have more of a variety when browsing our lot. You can be more selective with the features that you want to be included or the performance that is available due to the thousands of cars that we sell. All of our pre-owned cars are certified after passing rigorous inspections and have undergone the necessary repairs by our professional team to ensure that you can drive a reliable vehicle. Some of the top pre-owned INFINITI models that we carry include the Q50, the QX60, the QX80, and the G25 X. We also offer other brands of vehicles for our customers to browse. Our service department is here to help you maintain your vehicle to ensure that it continues to drive well and is reliable. We have a team of qualified professionals who are the top technicians in the local area and are experts at understanding INFINITI models. We can perform a thorough inspection of your car and diagnose issues or potential problems that may be present. The parts that our team uses are high-quality to ensure that they last long-term and don’t wear down easily. We invite you to contact or visit our dealership today if you’re looking to own a new or used INFINITI model. You can also fill out a contact form with any questions or inquiries that you may have for our staff. We’re here to respond quickly to your request to ensure that all of your needs are met when searching for a new car.